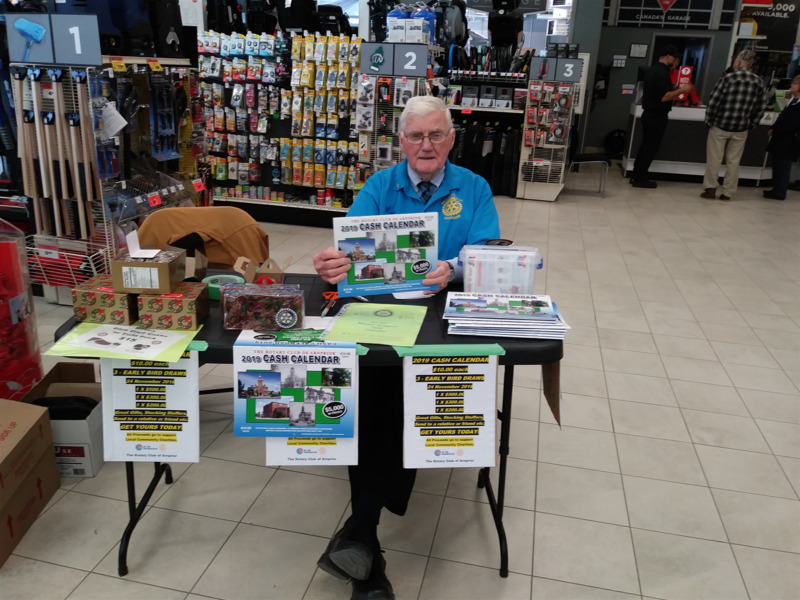 Rev Leo is at it once again, selling the newly released 2019 Rotary Cash Calendars. Leo Hughes is well known throughout Arnprior and the Valley for his benevolent activities and is working again to support good causes. A major portion of funds raised will be going towards the redevelopment of the Grove and Arnprior Hospital including equipment and other things in the community such as support to the Mobility Van.